Area All Areas -- 5165, 5155, 5157 Us Hwy 411 So Alcoa Algood Andersonville Apple Grove Asbury Athens Athens City Avalon Ball Camp Ballplay Baneberry Banner Baskins Creek Condos Baxter...Dekalb County Bearden Belfast Bell Belle Morris Belltown Bethlehem Big Creek Binfield Community Binghamtown Black Oak Ridge Blount Blount County Industrial Park Bluff Mountain/ Walden Creek Bluff Mtn/Walde Boones Creek, Gray Boxwood Hills Boyds Creek Brentwood Brownies Creek Cades Cove Landing Condos Camp Gallilee Carter Carter Ridge Caryville Cave Creek Cedar Bluff Cedar Fork Chalet Village Cherokee Bluff Cherry Bottom Choto City Of Crossville City Of Rockwood City Of Rocky Top Clarkrange Claxton Clear Springs Plantation Coalfield Cobbly Nob Coker Creek Coldiron Colonial Village Concord Concord Hills Unit 7 Concord/Farragut Concord/Northshore Corryton Cosby Cosby/Edwina Cottonwood Country Club Covenants & Restrictions Creekside Gardens Crossville Crystal Lake Neighborhood Cumberland Cove Dandridge Deane Hill Deer Creek Deerfield Deerfield Resort Deerfiled Resort Dolly Parton Pkwy Bus. Park Douglas Lake Douglas Lake/Dandridge Downtown Downtown Knoxville Dripping Springs Eagleton Village East Oak Ridge Ely Acres Emily's Landing Englewood Etowah Ewing Fairfield Galde Fairfield Glade Fairfield Glade Community Fairfield Glade Community Club Farragut Farragut/Concord Farrington Ffg Flat Hollow Forge Ridge Forge Ridge/Harrogate Fort West Unit 4 Fountain City Fountain City/Gibbs Fountain City/Inskip Fourth & Gill Area Fox Acres Fox Den Frakes Franklin Fw Hannum Addition Gatlinburb Gatlinburg Gettysvue Gettysvue Country Club Gibbs Golf Community Grandview Grapevine Greenback Greeneville Groves Park Groves Park Commons Halls Halls Crossroads Hamblen County Hanging Limb Hardin Valley Hardin Valley/Ball Camp Harrill Hills Harriman Harrogate Hart's Cove Landing Heiskell Hickory Hollow Historic Downtown Loudon Historic Guidelines Apply Holiday Hills Holiday Shores Holston Hills Holston Hills Area Homestead Homestead West Homesteads Huntsville Jamestown Jefferson Jefferson City Jefferson County Jm Turner Subdivision Jones Cove Joyner Kahite Karns Karns/Cedar Bluff King Mountain Kingston Knox County Knoxville Kodak Kodak/ Sevier County Ladd Landing Lake Plaza Condominiums Lake Tansi Lake Tansi Subdivision Lake Tansi Village Lake Tansi Village & Resort Lakeside Estates Lakeside Village Lakeview Paradise Lancing Lead Mine Bend Legacy Shores Lenior City Lenoir City Liberty Hill Linary Little Emory Lone Mountain Lone Mountain Shores Long Branch Lakes Longbranch Lakes Lonsdale Loudon Luttrell Lyons Bend Madisonville Madisonville City Maker Hollow Estates Marbledale Mariner Point Maryville Maryville City Maynardville Mckamey/Karns Melton Lake/East Oak Ridge Merchants Middlesboro Midtown Mooresburg Moss Mossy Grove/Coalfield/Harriman Mountain Lake Mt. View Netherland Heights New Center New Market Newport Norris Norris Lake Norris Point Norris Shores North Knoxville Northshore Area Northshore, Farragut, Choto Northshore/Choto Northwood Oak Hill Oak Ridge Old North Old Nursery Oliver Springs Other Overlook Bay Ozone Park City Park Meade Pea Ridge Pigeon Forge Pine Hill Pine Mtn Pine Orchaed Pine Orchard Pitman Center Plateau Pleasant Hill Powell Powell/Central/Halls Powell/Claxton Rarity Bay Red Boiling Springs Renaissance Renaissance|Farragut Renegade Resort Rinnie Rivers Run Riverton Riverton Community Roane Regional B And Tech Park Robbins, Elgin Rock House Rockford Rockwood Rocky Hill Rocky Hill / Wrights Ferry Rocky Hill/Bearden Rose Hill Rosedale Park And Ward's Addit Rosewood Royal Oaks Rudder Lane Rural Vale See Cc&R'S On The City Website Sequoyah Sequoyah Hills Seven Oaks Sevierville Seymour Seymour / Boyds Creek Seymour, Boyds Creek Shannondale Sharps Chapel Shawanee Siam Sokno Solway South Cumberlande South Eastern Glass Building South Knox South Knoxville Southern Hills Southview Addn Speedwell Spring Hill Sterchi Hills Straight Creek Boat Dock Strawberry Plains Strawplains Sugar Hollow Summer Place Sunbright Sweetwater Tabor Tanglewood Shores Tansi Tazewell Tellico Plains Tellico Village Tennesee National Tennessee National The Highlands The Peninsula The Preserve The Preserve Of Clinch River Thomas S Hart Farm Top Of The World Topside/Beech Grovebapt.Church Topside/Beech Grovebaptchurch Town Of Jonesville Townsend Townsend/Walland Uplands Village Upper Cove Ut Campus Valley View Vista Meadows Vonore Walnut Grove Unit 1 Walnut Mountain Wartburg Waterside At Norris Lake Waterside Cove Watts Bar Lake Wears Valley Wellington Chase Wesley Place West End West Haven West Hills West Knoxville Westmoreland Westmoreland Heights Westwood White Creek Acres White Oak Whites School Whitesburg Whitestone Whitman Hollow Wilder Wilder Mountain Wildwood William Blount Willow Creek Windriver Wolf Creek Wyngate Property Owner Assoc. 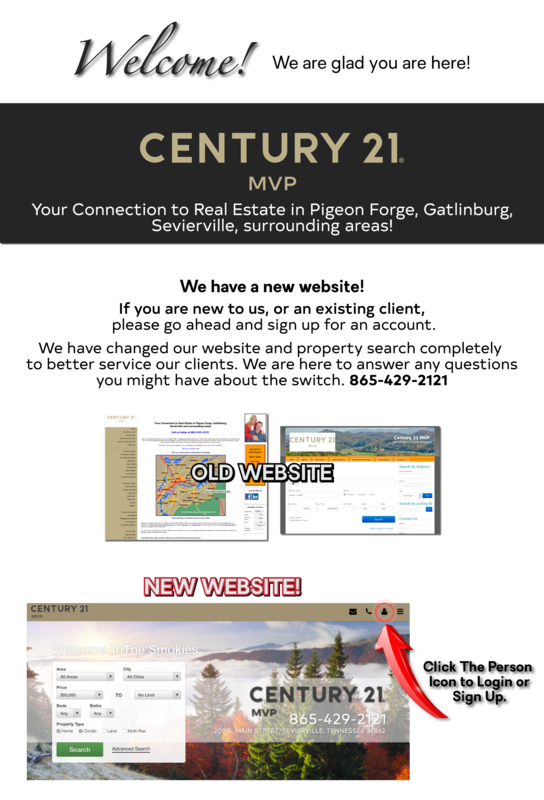 CENTURY 21 MVP is your local professional real estate brokerage. Our clients are our number one priority! 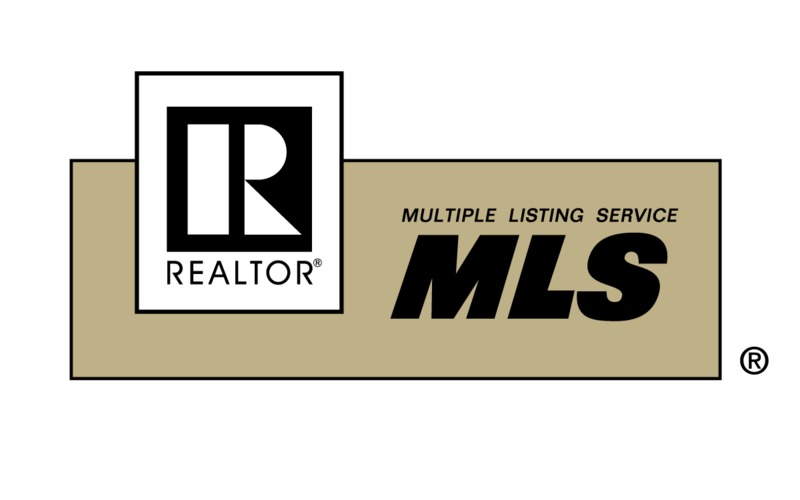 We are accepting listings, please contact us for your personal listing presentation. We also welcome buyers and can't wait to assist you! 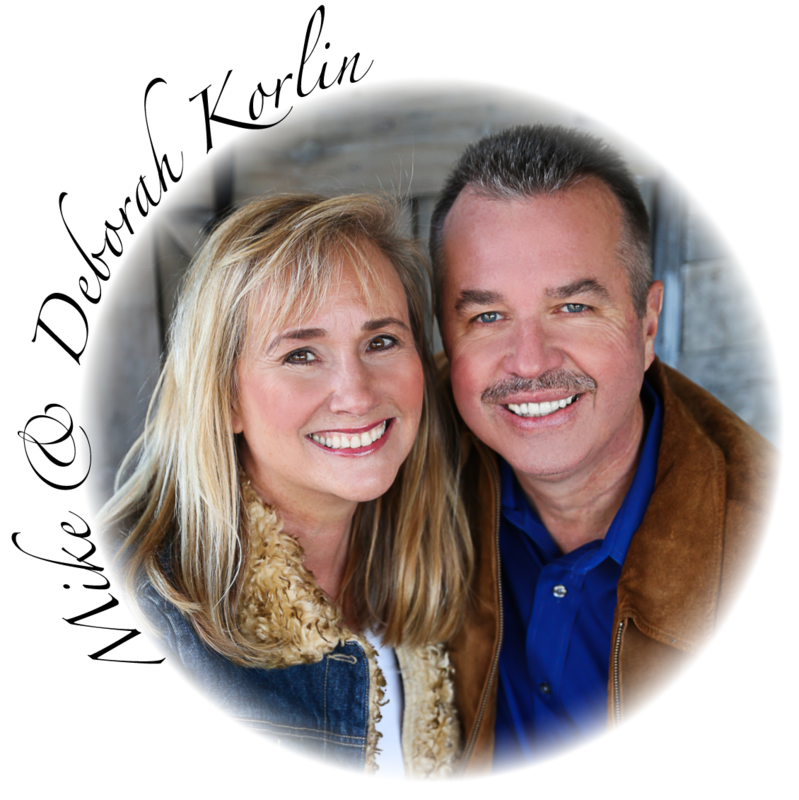 We are Mike and Deborah Korlin and together with our family of professional REALTORS welcome you to the Great Smoky Mountains and the greater Knoxville area! We live in a land of breathtaking beauty, friendly neighbors, low cost of living, and sensible government. It's the perfect place to work, raise a family, retire, and just simply enjoy life. We'd love to have you as a neighbor! If you are looking for a great place to live, you will find it right here! You have come to the right place to find the perfect Smoky Mountain home, land, or investment property! Let us help you turn your vacation into a reality! You'll love it here so much, you'll stay! 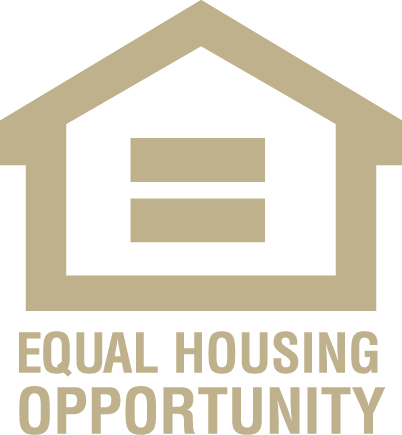 Call us at 865-429-2121 for a listing appointment or information about buying your new property. 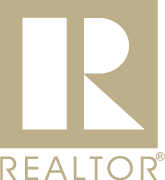 If you have questions about our area, real estate, or if you are just plain lost, we are here to help in any way! Educating our clients to create clarity and trust is very important to us. We will be here for you every step of the way! Want To Relocate To East Tennessee?